San Francisco, CA — March 24, 2014 – Today, a coalition of animal and environmental groups filed a lawsuit in the U.S. District Court for the District of Columbia to stop the U.S. Forest Service from eliminating thousands of acres of protected territory and rounding up as much as 80% of the wild horses in the Devil’s Garden Wild Horse Territory in northeast California’s Modoc National Forest. Roundups mean herding horses into corrals using helicopters and separating them from their families — and frequently leads to their sale for slaughter in Mexico and Canada. Today’s lawsuit asserts that the Forest Service’s decision violates federal animal protection and environmental laws and unlawfully prioritizes ranchers and privately-owned livestock above federally protected wild horses. The lawsuit was filed by the national nonprofit Animal Legal Defense Fund (ALDF) with co-counsel from the Los Angeles-based law firm Caldwell Leslie and the D.C. public interest environmental law firm Meyer Glitzenstein & Crystal, on behalf of the American Wild Horse Preservation Campaign, Return to Freedom, and an individual California resident. 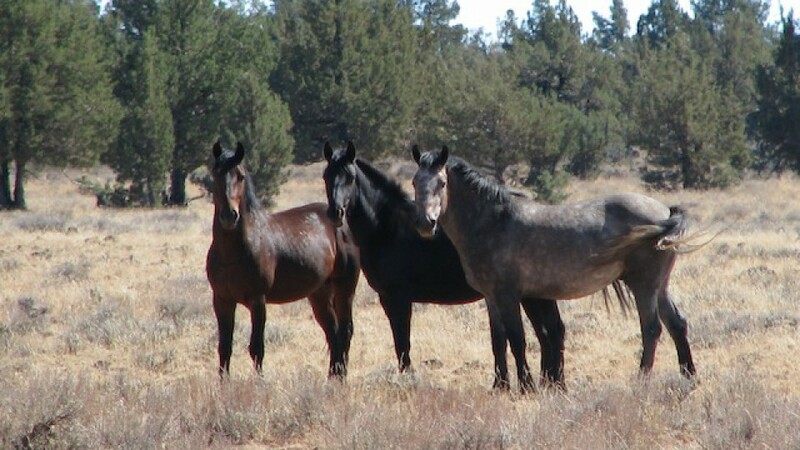 In 1971, Congress passed the Wild Free-Roaming Horses and Burros Act, which requires preservation of rangelands on which wild horses exist. Devil’s Garden is officially designated as wild horse territory managed by the Forest Service (a division of the U.S. Department of Agriculture), which has been the homeland of wild horses for at least 150 years. In August 2013, the Forest Service authorized a decision that will eliminate more than 25,000 acres of wild horse territory and reduce the wild horse population by 80% — yet failed to study the impact of privately-owned cows and sheep who graze in the Devil’s Garden and outnumber wild horses by as much as eight times during the summer. The Forest Service also failed to prepare an Environmental Impact Statement, or formally amend its governing land and resource management plan, despite the significant change in the environmental and legal status quo, as required by the National Environmental Protection Act and the National Forest Management Act. Copies of the lawsuit are available upon request. ALDF was founded in 1979 with the unique mission of protecting the lives and advancing the interests of animals through the legal system. For more information, please visit aldf.org.